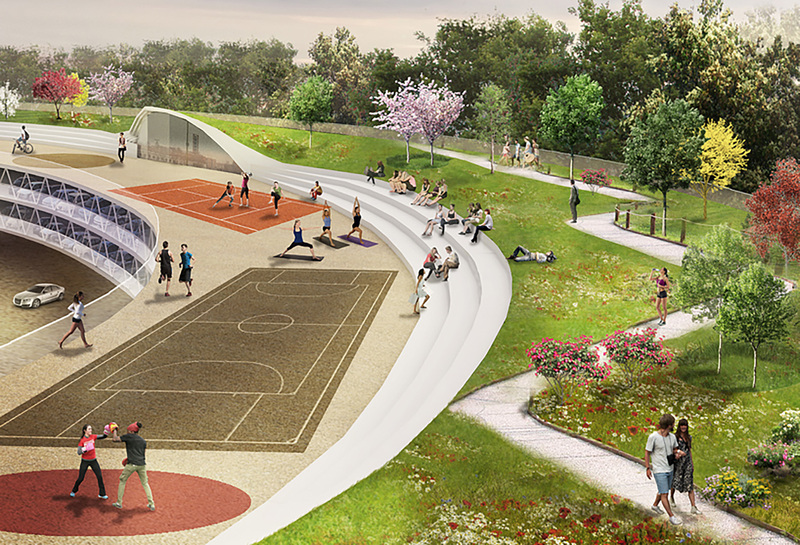 This giant green-roofed ring designed for Asti, Italy pairs a car park with a beautiful public space. The project, designed by architects Angelo Salamone and Ilaria Filippi of AS-DOES, is an example of how green infrastructure can create a functional and attractive community space. AS-DOES presented this car park as a proposal for a competition organized by Asti Servizi Pubblici S.p.A. 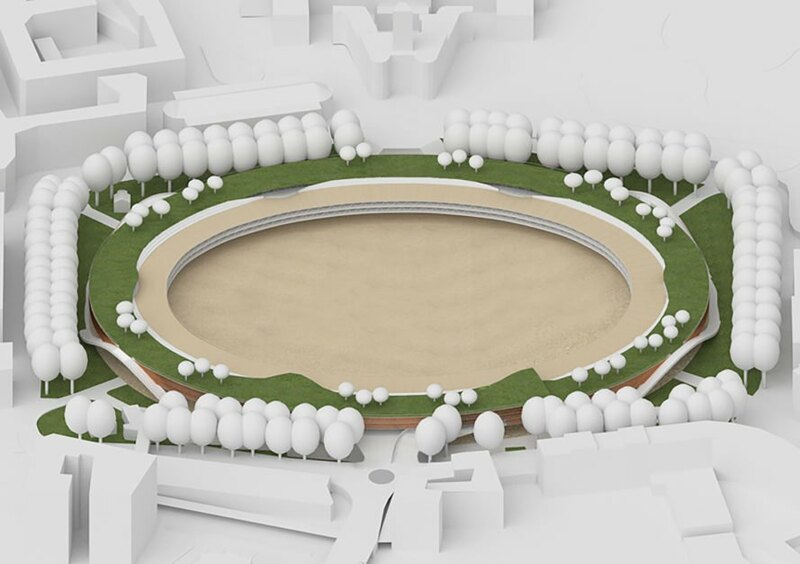 The contest called for solutions to tackle the redevelopment of Piazza Campo del Palio in Asti. Every project needed to address how to revitalize the area and make it safer and more functional for citizens. 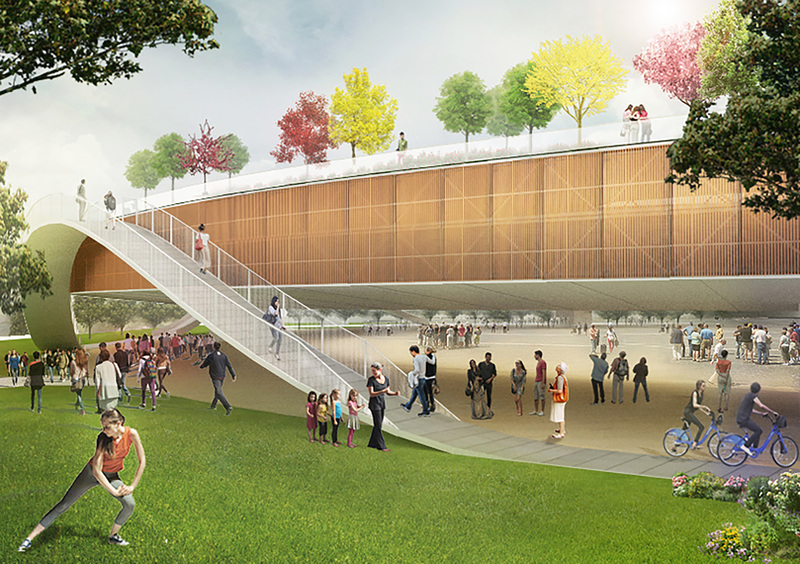 The multi-story elliptical car park functions as a covered overpass with a large green roof. The project provides vast open spaces, areas for parking and space for commercial and cultural activities. The designers incorporated green space to make the location more appealing and to provide a place for recreation. The green roof gives visitors incredible city views, too. The roof is an ideal location for friends to gather and play ball or skate. 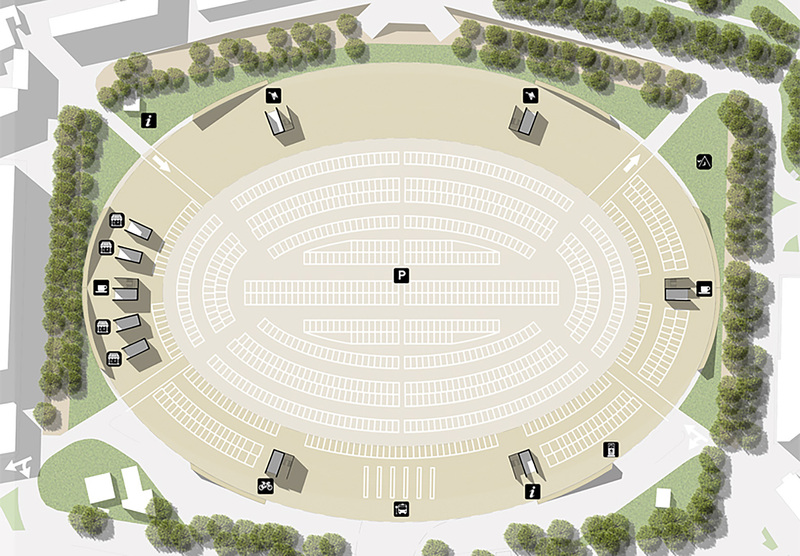 The ground floor of the car park has a central square that can be used for a variety of purposes, including as a venue for performances, local events or markets. 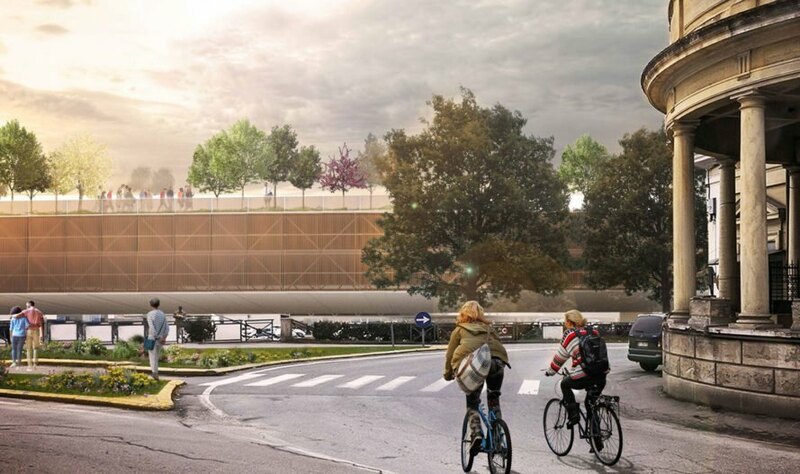 AS-DOES presented this car park as a proposal for a competition organized by Asti Servizi Pubblici S.p.A.
Angelo Salamone and Ilaria Filippi of AS-DOES designed this urban green car park. 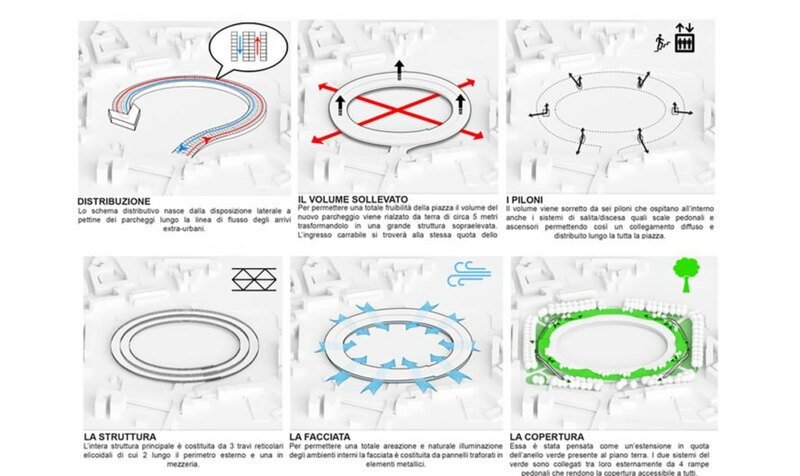 The design serves as a solution to the renovation of Piazza Campo del Palio in Asti. Every project needed to address how to revitalize the area and make it safer and more functional for citizens. 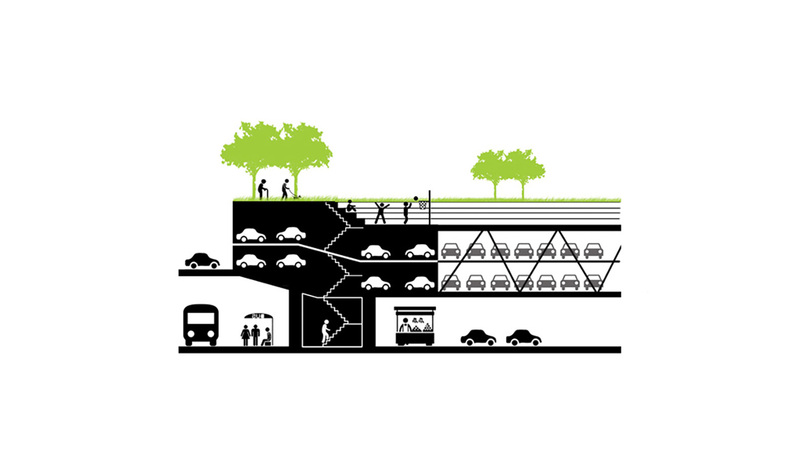 The multi-story elliptical car park functions as a covered overpass with a large green roof. The park would offer plenty of space for parking. The project addresses the need for vast open spaces, areas for parking and space for commercial and cultural activities. The designers incorporated green space to make the location more appealing and to provide a place for recreation.